Carl Allen doesn't like his job, he's feeling down after his recent divorce, and he's got nothing to look forward to. One day, he is talked into going to a "Yes!" seminar where he ends up making a covenant to say "Yes" to every opportunity that comes his way. The new Carl sees that things begin to go his way, and he even gets a promotion and a new girlfriend. 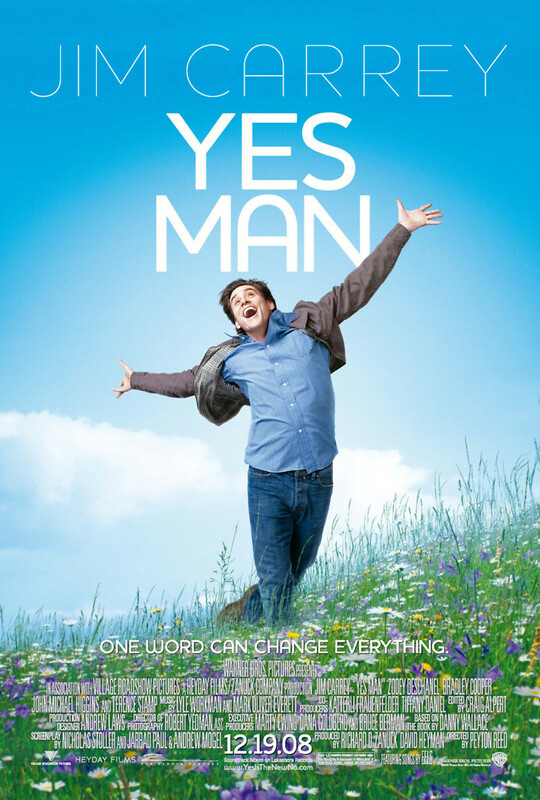 Just as Carl starts to like being a "Yes Man", his adventures get even more extreme, and always saying "yes" begins to get him into some hot water.